Conscientia Beam has a rigorous peer review process and in most cases this consists of a single blind assessment of the paper with at least two independent reviewers and a final decision on acceptance or rejection by the Editor who is responsible for the academic quality of what is published. As soon as a paper is submitted, the managing editor checks to assess the suitability of the manuscript, the qualifications and backgrounds of the authors and to reject any manuscripts that do not comply with submission guidelines or required quality. The editor for the journal will then be notified of the submission and invited to check and recommend reviewers. The process is a single-blind assessment for most journals, where the author does not know the identity of the reviewer, but the reviewer knows the identity of the author. Some journals use a double-blind peer review process. 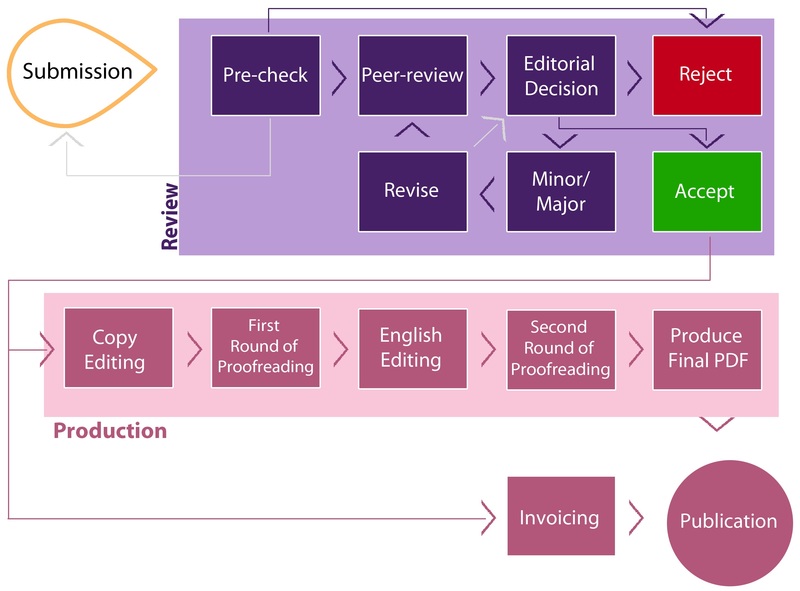 At least two review reports are required for each submitted paper and the editor is able to suggest reviewers during the pre-editing check part of the process. Alternatively, Conscientia Beam editorial staff are able to use qualified Editorial Board Members for each journal, qualified reviewers from our database or any new reviewers to conduct such reviews of submitted papers. • have not been recently invited to review other papers for any Conscientia Beam journals. To assist editors, Conscientia Beam staff handle all communication with reviewers, authors, and the external editor; however, editors can check on the status of manuscripts and the identity of reviewers at any time during the process. Reviewers are given two weeks to write their review. Reviewers are requested to provide a reporter within three days for reviewing revised changes to a paper. In both cases, extensions can be granted on request. Only an editor can accept or reject a paper. Other employed Conscientia Beam staff can only reject a paper as it would create a conflict of interest if they could do so as their salary would be paid for by the APC for accepted articles. Acceptance decisions on manuscripts, after peer review, are made by an academic editor, either the Editor-in-Chief, a Guest Editor, or another suitable Editorial Board member. The academic editor has to check the suitability of reviewers, the adequacy of reviewer comments and author responses ad the overall scientific quality of the paper. The editor can either accept or reject a paper or ask an author for a revision or ask for an additional reviewer. If there is suggestion or doubt as to whether a paper has any plagiarism, the editorial office will check the paper immediately using the industry standard software, iThenticate. Reviewers make recommendations and Editors-in-Chief are free to disagree with their views. If they do so, they should justify their decision, for the benefit of the authors. Editorial independence is extremely important, and Conscientia Beam does not interfere with editorial decisions. In particular, no paper is published without the agreement of an academic editor and Conscientia Beam staff do not advise academic editors about accepting or rejecting articles. In cases where only minor revisions are recommended, the author is usually requested to revise the paper before it is referred to the external editor. Depending on whether the reviewer needs to see the paper again or the wishes of the academic editor, papers may or may not be sent to the reviewers after the author revises them. Papers are usually allowed to have two rounds of major revision each unless there are exceptional circumstances. Professional editing staff carry out the different services needed in production on all papers including language and copy editing and proofreading. If the changes required are extensive, authors are charged a small additional fee with the author’s prior approval. Authors are also free to consult other English editing services or native English peaking colleagues, the latter being our preferred option. Production processes include copy editing, editing for English, formatting it into XML, producing final PDFs and proofreading the final work prior to publication, Not all papers will need all production processes. Constantia Beam follows the Committee on Publication Ethics (COPE) guidelines and its Principles of Transparency and Best Practice in Scholarly Publishing. Our journals follow COPE’s procedures for dealing with potentially unethical behaviour by authors, reviewers or editors. Constantia Beam’s editorial staff are all trained in how to recognise and respond to ethical problems and issues. Constantia Beam also has a published policy on Corrections and Retractions. If ethical issues are raised by readers of any journal, the editorial office will investigate the issues according to procedures and guidelines set out by COPE. The editorial board of each journal will be responsible for settling disputes on the validity of the research reported in papers published in the journals. If there are disputes around authorship, data ownership, and/or author misconduct and similar offences, where required, Constantia Beam will refer the issues to the corresponding external institutions and organisations such as the university’s ethics committee for dispute investigation and resolution. We believe the institutions are responsible for resolving such issues as they would exist prior to papers being published with Constantia Beam’s journals. Authors are always asked to respond to any substantiated allegations against them with any evidence they may have for their position on the issue.